1' x 16' Aluminum Walkway. Comes with mounting hardware. 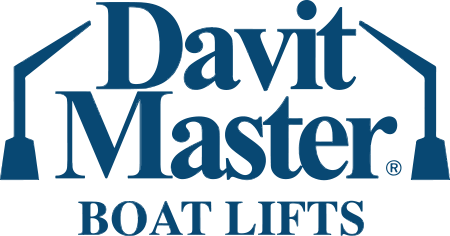 Gain the ease of access to your boat with a..
10' Aluminum Dock Ladder, Hinged Style. Folds up to avoid barnacle build-up. Made from T-6063 alumin..
10' Aluminum Dock Ladder, Rigid Style. Made from T-6063 aluminum. 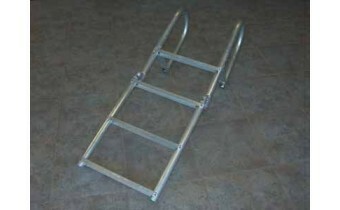 Rigid style dock ladder does not b..
10' Aluminum Dock Ladder, Slide Style. Made from T-6063 aluminum. Pulls up out of the water to avoid..
3' Aluminum Dock Ladder. Made from T-6063 aluminum. Rigid style dock ladder does not bend or fold. L..
4' Aluminum Dock Ladder, Hinged. Folds up to avoid barnacle build-up. Made from T-6063 aluminum. Hin..
4' Aluminum Dock Ladder, Rigid. Made from T-6063 Aluminum. 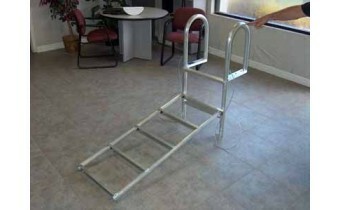 Rigid style dock ladder does not fold or ..
4' Aluminum Dock Ladder, Slide Style. Made from T-6063 aluminum. Pulls up out of the water to avoid ..
5' Aluminum Dock Ladder, Hinged Style. Folds up to avoid barnacle build-up. Made from T-6063 aluminu..
5' Aluminum Dock Ladder, Rigid Style. Made from T-6063 aluminum. 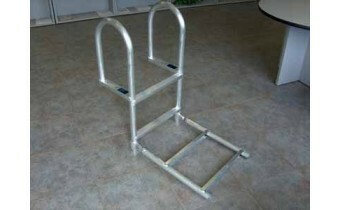 Rigid style dock ladder does not fo..
6' Aluminum Dock Ladder, Hinged Style. Made from T-6063 aluminum. 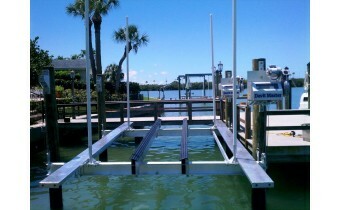 Folds up to avoid barnacle build-u..
6' Aluminum Dock Ladder, Slide Style. Made from T-6063 aluminum. Pulls up out of the water to avoid ..
7' Aluminum Dock Ladder, Hinged Style. Folds up to avoid barnacle build-up. Made from T-6063 aluminu..
7' Aluminum Dock Ladder, Rigid Style. Made from T-6063 aluminum. Rigid style dock ladder does not fo..
7' Aluminum Dock Ladder, Slide Style. Made from T-6063 aluminum. Pulls up out of the water to avoid ..
8' Aluminum Dock Ladder, Hinged Style. Folds up to avoid barnacle build-up. Made from T-6063 aluminu..
8' Aluminum Dock Ladder, Rigid Style. Made from T-6063 aluminum. Rigid style dock ladder does not fo..
8' Aluminum Dock Ladder, Slide Style. Made from T-6063 aluminum. Pulls up out of the water to avoid ..
9' Aluminum Dock Ladder, Hinged style. Folds up to avoid barnacle build-up. Made from T-6063 aluminu..
9' Aluminum Dock Ladder, Rigid Style. Made from T-6063 aluminum. Rigid style dock ladder does not fo..
9' Aluminum Dock Ladder, Slide Style. Made from T-6063 aluminum. Pulls up out of the water to avoid ..